A rare opportunity to acquire this attractive and extended 4 bedroom detached family home situated in this sought after village location boasting 2 golf courses and a pub, and lying only 5 miles from the historic town of Bury St Edmunds. 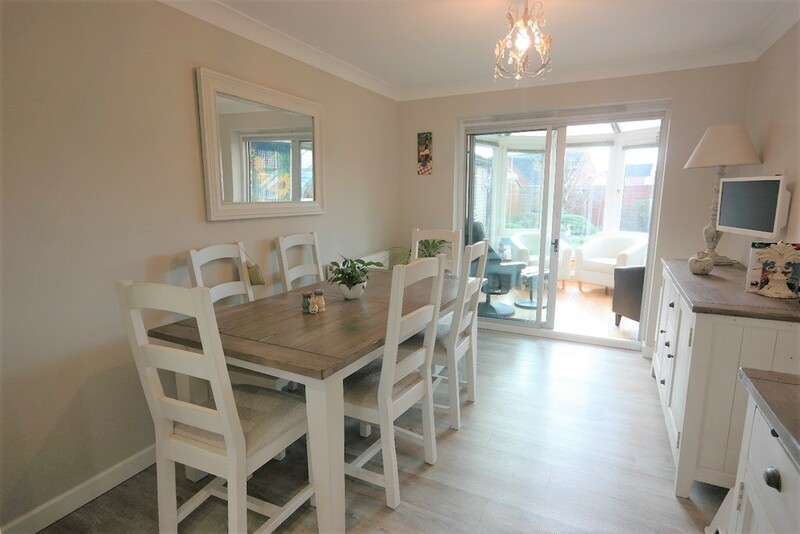 Offering extremely spacious and well cared for accommodation comprising of Cloakroom, Lounge, impressive Kitchen/Dining Room, Conservatory, Utility Room, a good sized Studio/Office, 4 Bedrooms with En Suite facilities to the Master and a Family Bathroom. 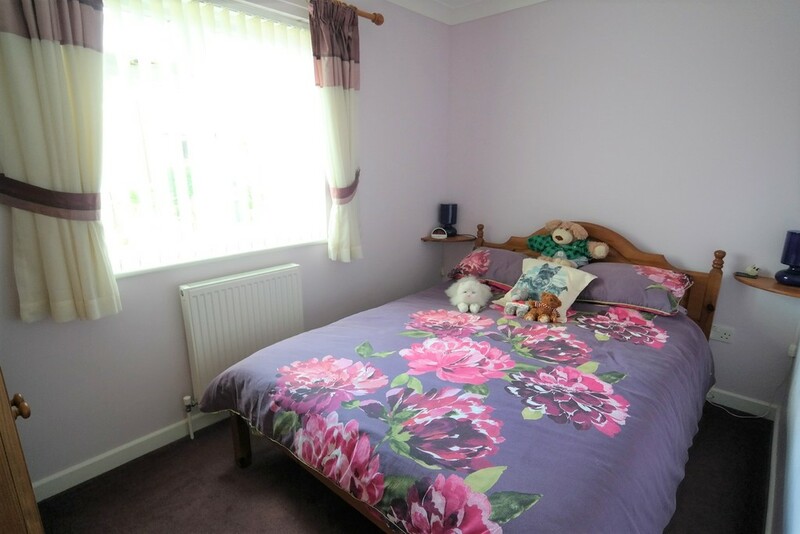 There is a fully enclosed garden to the rear with a good sized decking area, Garage and off road parking. VIEWING HIGHLY RECOMMENDED. CLOAKROOM With window to side aspect, low level WC, washbasin, radiator. LOUNGE 15′ 9″ x 11′ 11″ (4.8m x 3.63m) With feature fireplace with gas fire inset, 2 radiators, TV point, UPVC French doors to garden. KITCHEN/DINING ROOM 22′ 9″ x 10′ 6″ (6.93m x 3.2m) An impressive room with window to front aspect and patio doors to Conservatory, a contemporary range of modern style cream high and low level units incorporating Range cooker and microwave, extractor hood, integrated dishwasher and fridge, sink with mixer tap, tiled splashback, TV point, laminate flooring. CONSERVATORY 8′ 11″ x 9′ 4″ (2.72m x 2.84m) Of UPVC construction with wooden floor and door into garden. 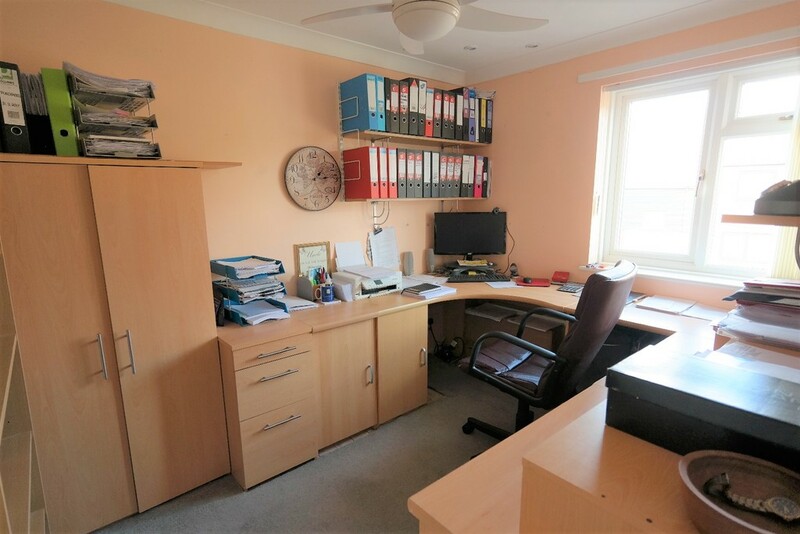 STUDIO/OFFICE 18′ 6″ x 9′ 8 max” (5.64m x 2.95m) With UPVC stable door to garden, 2 windows to rear aspect, ceiling fan, low level units, TV point, underfloor heating, laminate flooring. 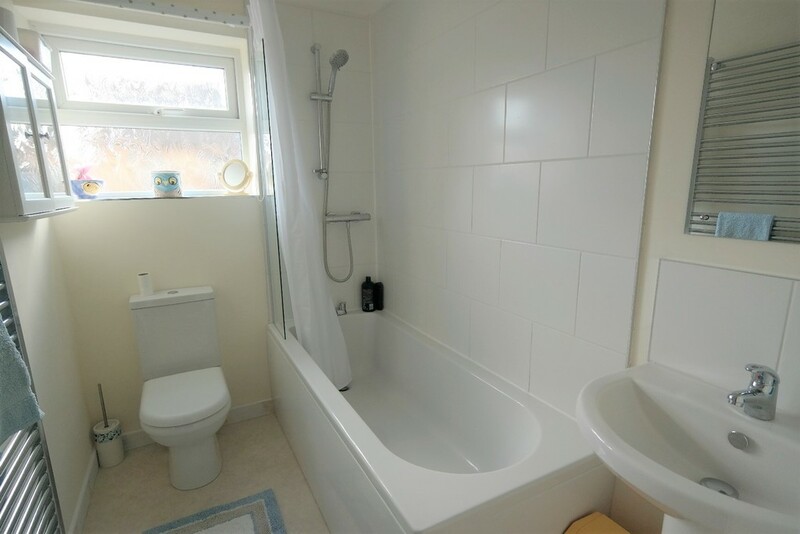 EN SUITE With window to rear aspect, shower in cubicle, low level WC, washbasin, radiator, extractor fan, fully tiled walls. BEDROOM 2 11′ 2″ x 11′ 10 max” (3.4m x 3.61m) With window to rear aspect, radiator. BEDROOM 3 10′ 9″ x 7′ 1 max” (3.28m x 2.16m) With window to front aspect, radiator. BEDROOM 4 10′ 8″ x 8′ 1 max” (3.25m x 2.46m) With window to front aspect, radiator. BATHROOM With window to side aspect, panelled bath with shower, wash basin, low level WC, heated towel rail. OUTSIDE There is a good sized driveway to the front of the property providing off road parking for 2-3 cars and leading to the single garage with up and over door and personal door into Utility Room. The neat rear garden has a good sized decking area with lawn, garden shed, flowerbed, covered vegetable area, and is fully enclosed by fencing. A unique opportunity to purchase in this highly desirable village: A modern 3 Bed DETACHED bungalow benefiting from a large GARAGE occupying a cul de sac position within close proximity to the park and centre of the village with shops and pub etc.and lying roughly halfway between Stowmarket and Bury St Edmunds.